The Pyramid project is located 65km north of Dease Lake, BC along highway 37. The main service points for the project are Whitehorse, YT (6 hours), Watson Lake, YT (2 hours), Dease Lake, BC (1 hour), and Smithers, BC (6 hours). The recently constructed Northern Transmission Line is located 136 km to the south. 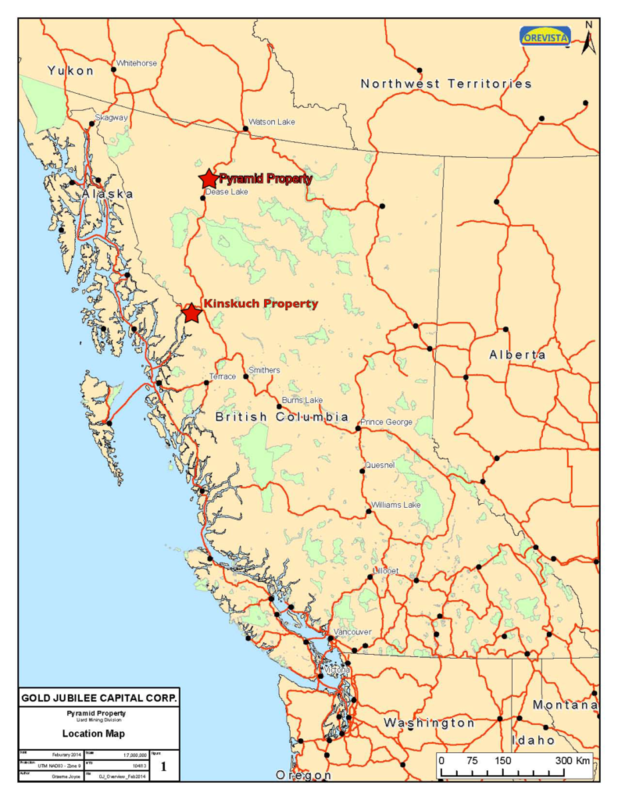 The nearest deep water ports are located in Stewart, BC (445km) and Skagway, AK (674km).